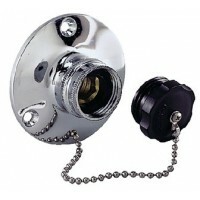 Protects your boat's water system from damaging pressures of unregulated city water hook-ups. Availa..
Water/waste tank 15 gal Size: 24-1/4" L x 15-1/4" W x 8-3/4" HGals. : 12..
Water/waste tank 24 gal Size: 22-1/2" L x 22-1/2" W x 12" HGals. : 23..
Water/waste tank 29 gal Size: 23-1/2" L x 20" W x 15-1/2" HGals. : 23..
Water/waste tank 25 gal Size: 29-1/2" L x 16-5/8" W x 12-3/4" HGals. : 24..
Water/waste tank 30 gal Size: 28" L x 23" W x 11-1/2" HGals. : 29..
Water/waste tank 39 gal Size: 32" L x 21-1/2" W x 14-1/2" H (19-3/4" W at bottom)Gals. : 38..
Water/waste tank 9 gal Size: 17" L x 13-3/4" W x 10-1/4" HGals. 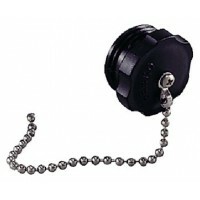 : 9..
Chrome plated bronze fitting comes complete with a black plastic watertight plug & SS chain. Inlet i.. 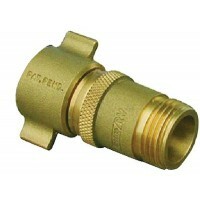 Prevents high-pressure damage often caused by city water systems. Leak-tight, stress and crack-resis.. Kit enables you to plug up existing threaded fitting openings and to custom position the new fitting..
Includes all the fittings needed to attach hoses to a water or holding tank.932222 includes: 1/2" ho..
Todd's one piece molded water/holding tanks are tough and durable. Each tank fully complies with FDA..